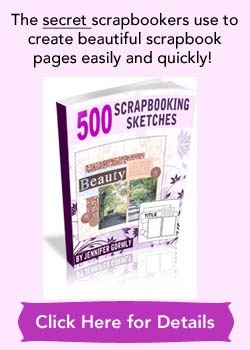 This scrapbooking idea is a meaningful one. 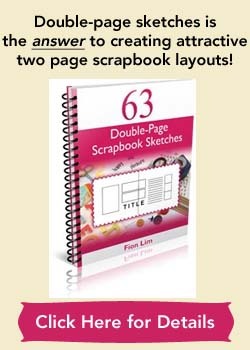 It allows you to think about the most important women in your life and get them onto your scrapbook page! I did this last year. I ran out of photo papers and it’ll be awhile before I’ll get my hands on some. But I still want to share an idea this week and I remember doing this layout. I feel that it’s important enough to share it with you. With lives getting so busy these days and how we tend to take so much for granted, sometimes we forget to slow down and take stock of the important beings in our lives. Could it be your best friend who you used to see every single day of your life but has now moved to another state, and yet you maintain contact through emails, phone calls very regularly? Or the older sister who is always there for you, no matter the hours of the day? What about the massage therapist who you faithfully go to every week to wring out the tension from your tensed up shoulders? For me, I’ve listed 5 women – my mom, my two sisters and my two close friends. They’ve been with me for ages. Through the up and the down days. Of course, there’ll be times where we don’t see eye to eye and sometimes we can hardly stand each other in that moment of time, but through it all, they remain. Think about the women in your life. See how they’ve contributed to make your life better, give it more meaning, and create more memories together with you. Rejoice in your relationships with these women! Supplies used: Cardstocks – Bazzill Basics and The Paper Company; Patterned papers – Basic Grey “Romani”, Scalloped-edge scissors – Carl CarlaCraft, Black pen – Uni Pin Fine Line; Black marker – Zig Memory System “Dotta Riffic”; Red pen – ZIG “Photo Signature”, Zig Memory System “Fine & Chisel”; Doodles inspired by Love, Elsie patterned paper “Roxie Math Class”.